The first think I notice about the Xiaomi M365 Electric Scooter is the rear fender. It was very noticeable as it shakes a lot even though your are not asking anything. There are alot of 3D maker who sells the fender holder upgrade in Ebay. They are made using a 3D printer. I believe an STL file are available online for such fender holder. 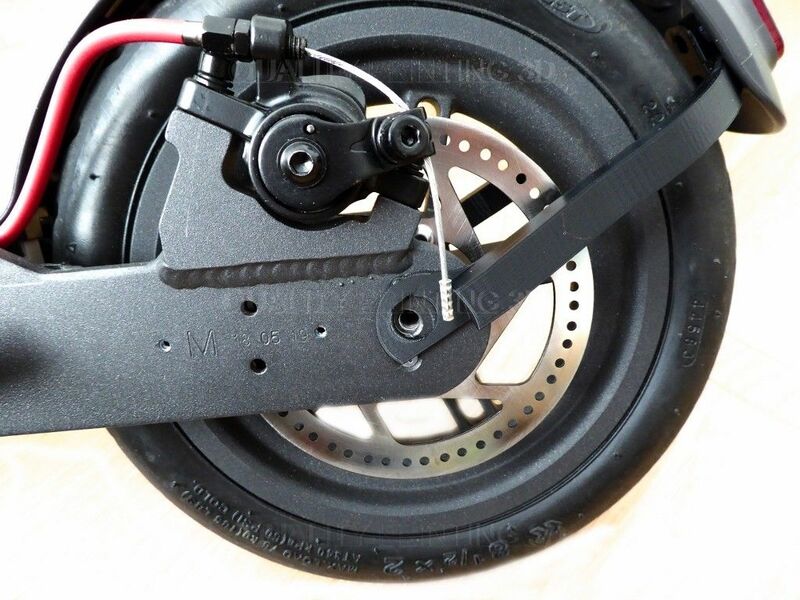 The photo below is the example of the fender holder you can buy in Ebay. You have to clamp it on both side of the rear wheel axle. Here is an instruction on how you do it. Photo credit to Owner in Ebay. Although it was good.. I was not satisfied with how it looks. Its so lame that it doesn't gives you any personality. So I decide to make my own. 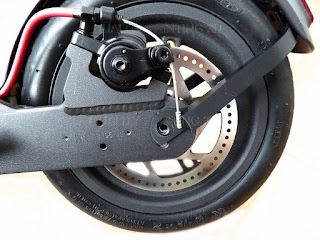 Here are a photo of my DIY Xiaomi M365 Fender Shake eliminator plus Rear Light Holder. Its clamp on the Brake caliper of my rear disk. What stands out from the rest is that on the other end you can still see the whole wheel. It looks like a Pro-Arm swing arm where only one side are bolt on the chassis. Below is the right side of the fender. Notice that you have access on the wheel in case a flat tire occur. You don't have to remove the fender support. For the Aesthetic part, I mounted a Rear Light on top of the Fender holder which makes it visible and looks amazing. I would love to mass produce this upgrade but since I wanted to have my scooter a personality. It would only be me that has this fender holder. You can ask question here if you want to copy and do it yourself. Send a comment and let me know what you think of this.